Australia has a standard voltage of 230/240 volts (at 50 hertz). The plug must be a flat three (if grounded) or two-pin (ungrounded) plug. See our image above how the plug looks like. 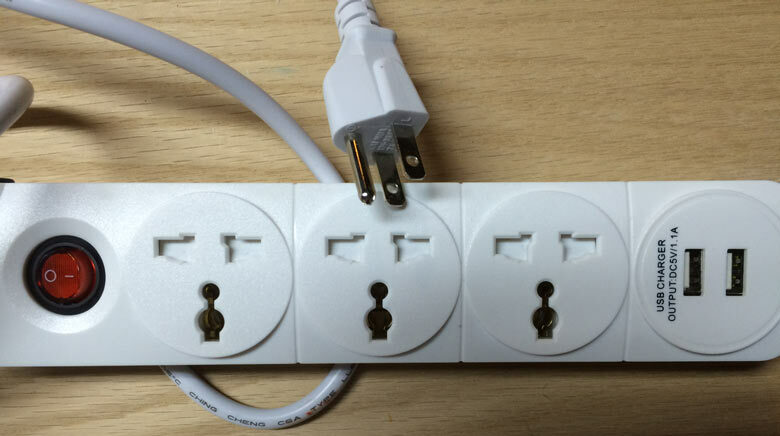 Australia and New Zealand use the same type of plug — it is called a TYPE 1 PLUG. In our image on the left side you see an adapter that has an actual third METAL ground plug. The adapter on the right side has a ground plug (yellow) BUT it is plastic. The latter will not give you a real grounded connection, it is just a fake one to stabilize the plug. Many devices do not require a ground plug but if a device like an electric water kettle or blower has one then you should go with a quality adapter that comes with a metal ground plug. 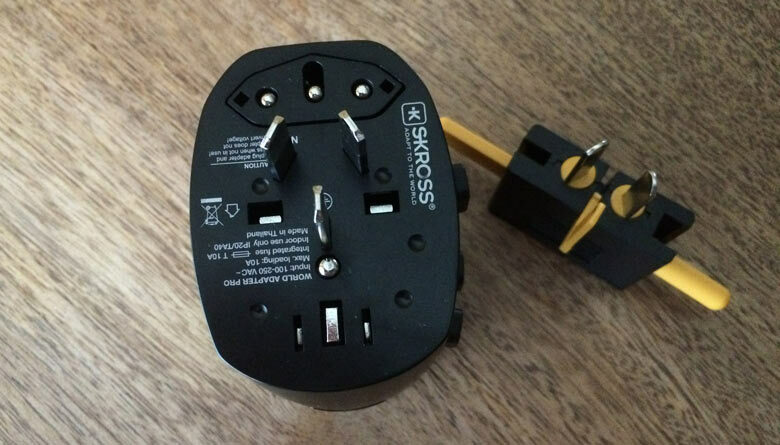 Travel plug adapters should be bought in your home country before you leave. Prices vary: for low quality adapters you pay around US$ 10 and under but for better ones the price will be around 30 to 40 US Dollars / Euros. Please be aware that an adapter that makes just your plug fitting makes only sense with devices that have a switch for 110 to 220 V.
In Australia you have 230 Volts and you cannot use a device that is only rated only for 110/120 Volts! A 110 to 240 Volt switch is either manually to operate or it is built-in, meaning the device detects the voltage and switches internally. That is normal for notebooks and such devices that are made to travel. Also battery chargers for your camera should switch automatically. 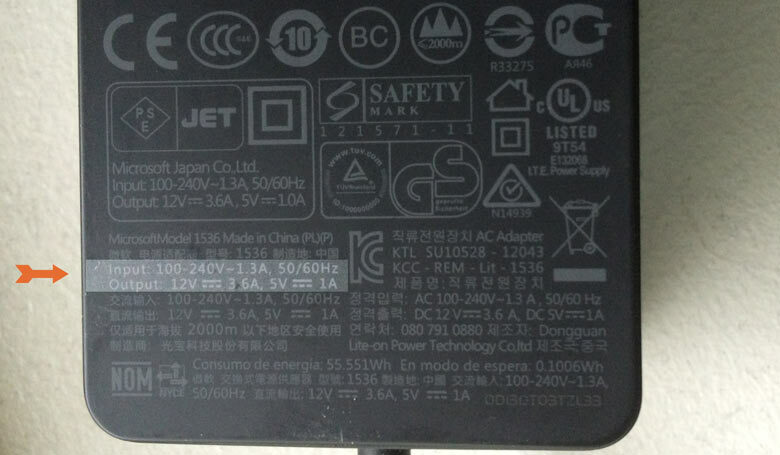 You can find out by looking at the device’s power supply and if it says it accepts voltage between 110V to 250V it is ok to take with you. Devices like hair blowers might have a switch if they are prepared for travel purposes. Otherwise, which means if your device has no switch, it’s recommended to leave your device at home even if there are voltage converter on the market that could may be do the job. But you should verify each detail very carefully and ask a specialist to make sure your device suffers no damage. Many hotels provide an outlet for 110V razors, but such devices are also very often equipped with multi-voltage switches. If you have multiple devices that you will need to power at the same time – like chargers, notebooks, etc – it might be advantageous to take an international power strip with you. Our image shows one that has a US-wall plug but accepts all sorts of international plugs to plug in. So, we would plug the wall plug into our travel adapter and then have multiple plugs for devices available. The one in the image also features 2 USB plugs. In the end it doesn’t matter what wall plug our power strip has (in our case it is a U.S. version) because our travel adapter takes anyway all sorts of international plugs. The shown power strip also accepts 110-240 Volts input — that is important, because it is the feature that makes it usable for travel to countries with different voltages. And, again, in New Zealand you have 240 Volts and if you would use a standard U.S. power strip which accepts only 110 Volt you can’t use it. For readers from other countries which have also 230/240 Volt electricity (like most European countries) you have not this 110Volt vs 240 Volt issue that Americans have. Those of you just need the travel plug adapter to make the plug fit. Note: a travel plug adapter is NOT a electricity transformer! It only adapts the ‘shape’ of the plug.